Bittersweet Enchantment: Best of 2011 Hop! Hello all everyone! So this is my first time doing a giveaway hop and I am so excited to be able to join in this time. I am so happy to be able to share with you one of my favorite books from 2011. Thank you so much Kathy for giving us the opportunity to let everyone know what books we loved reading this year. 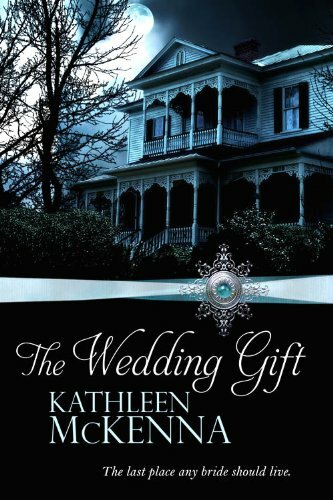 The book I have chosen to giveaway is "The Wedding Gift" by Kathleen McKenna. I so adored this book and just know others will love it too, given the chance. I have a review written for the book here. There will be 3 prizes - ONE paperback and TWO e-book copies. The paperback is only open for USA/Canada residents - The ebook copies are open to everyone. You must be 13 years or old to enter. Email addresses must be included with each entry in the Rafflecopter form. I will only use the email addresses to contact the winner. There is only one mandatory entry - it's to GFC follow my blog. Extra entry may be earned by tweeting this giveaway post. The winners will be contacted by email and will have 72 hours to respond with a mailing address.